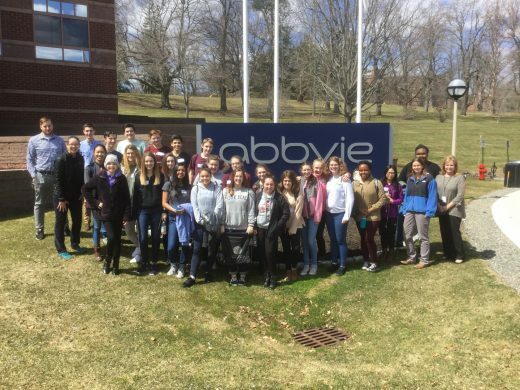 10th grade Biology students ventured to AbbVie, a biopharmaceutical company in Worcester, for their Career Exploration event sponsered by MassBioEd. Throughout the day students toured labs and saw the numerous steps involved in creating a medicine to treat diseases such as psoriasis, cancer, and irritable bowel syndrome (IBS). Students met numerous AbbVie employees in HR, finance, information technology, chemists, scientists, research and development, manufacturing, and safety management who shared their passion and what it takes to run a biotech company.